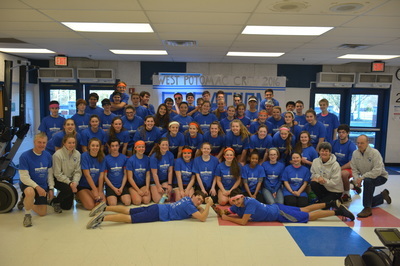 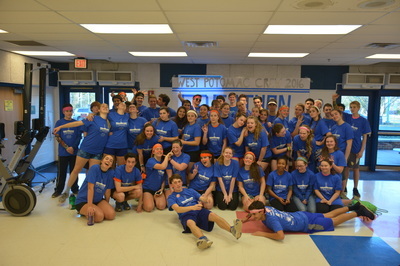 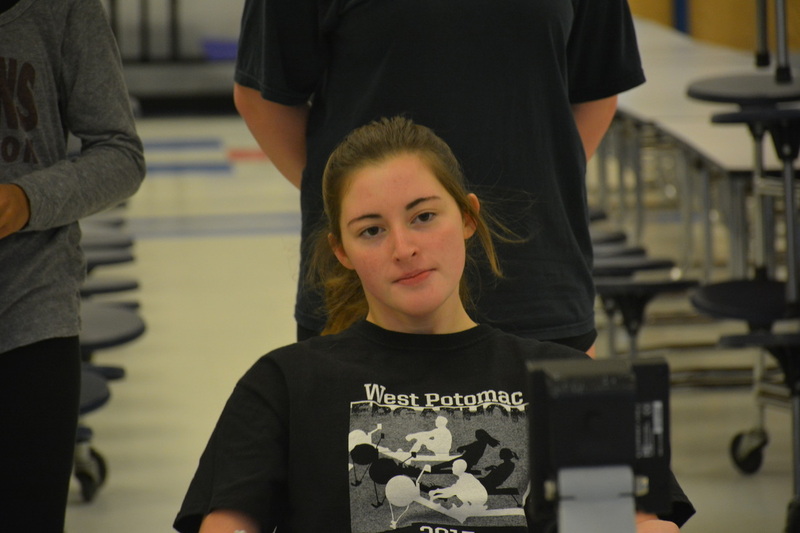 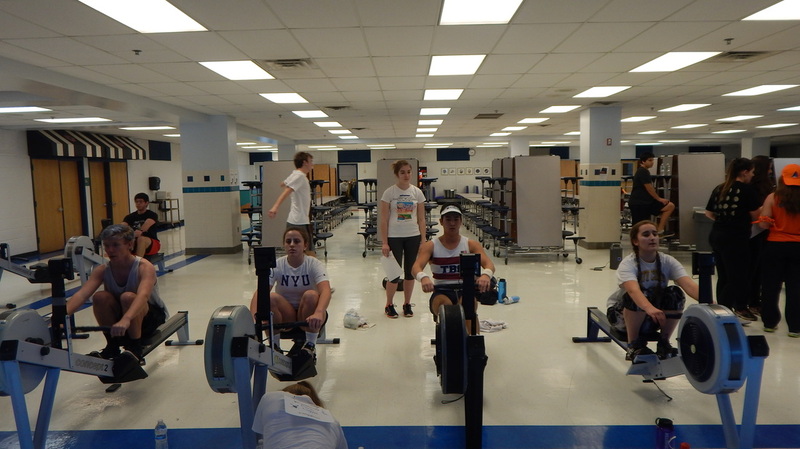 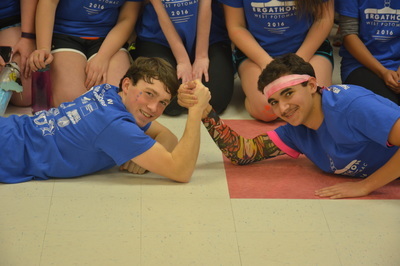 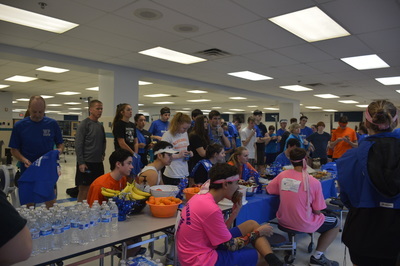 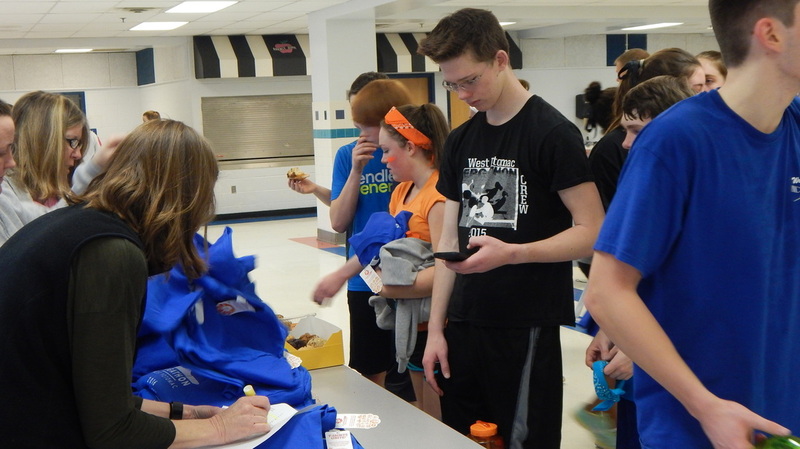 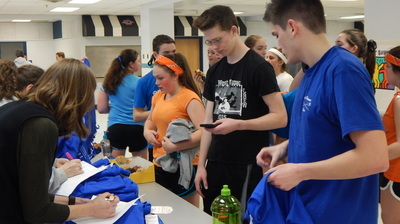 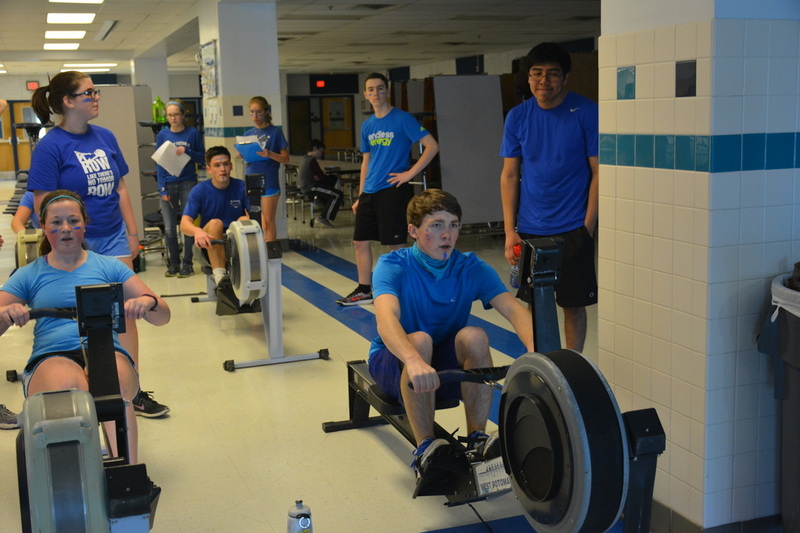 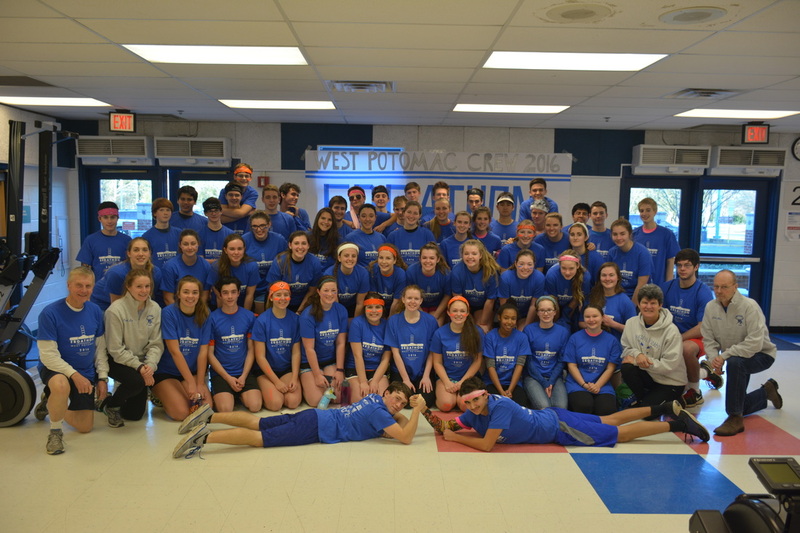 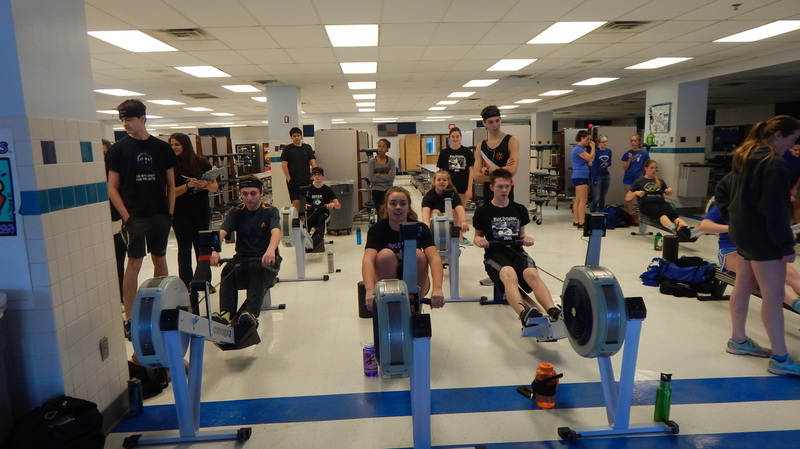 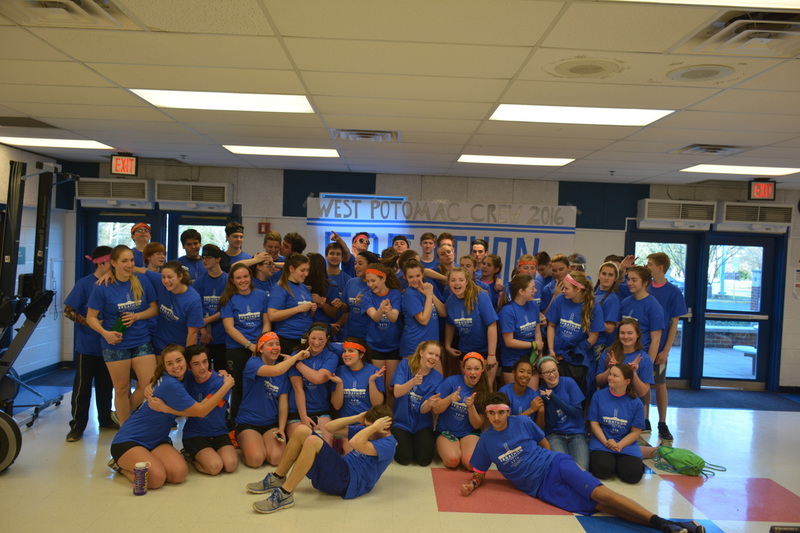 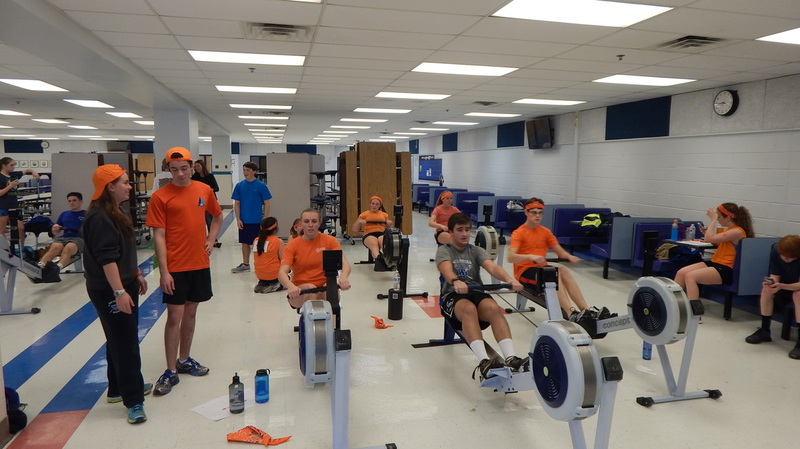 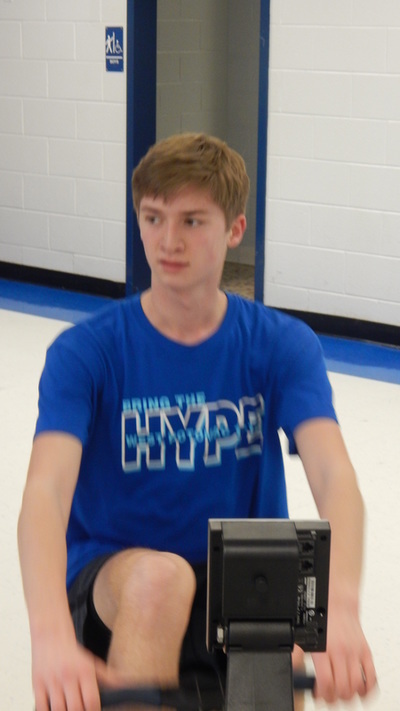 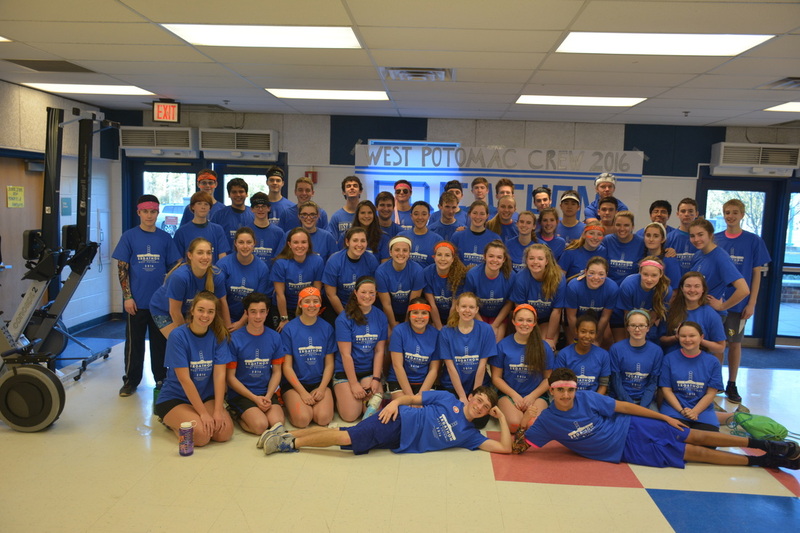 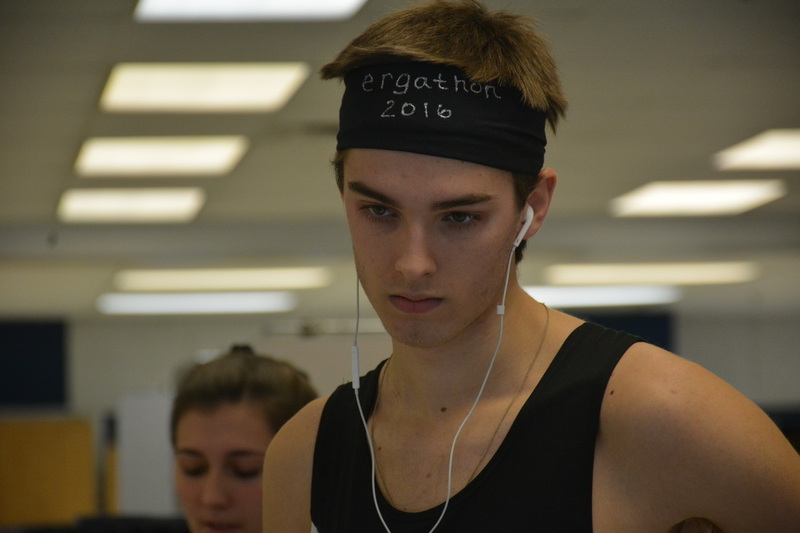 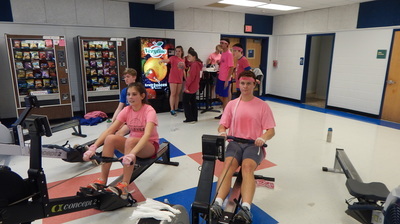 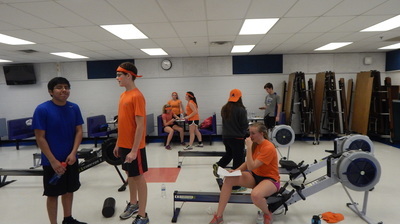 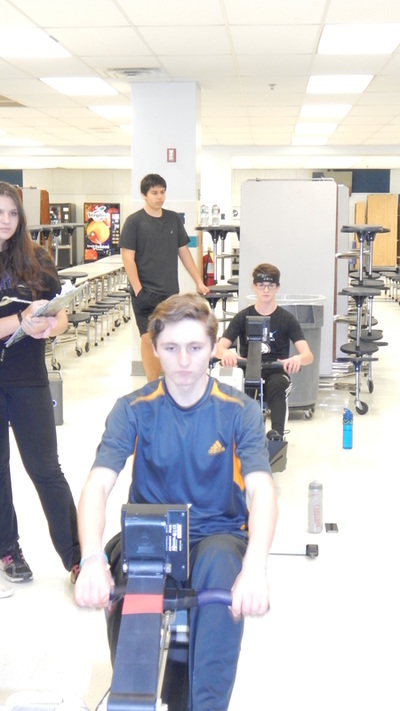 (June 2014) West Potomac Crew sent two boats to the Scholastic Rowing Association of America National Championship regatta May 23-24, in Mercer County, New Jersey. 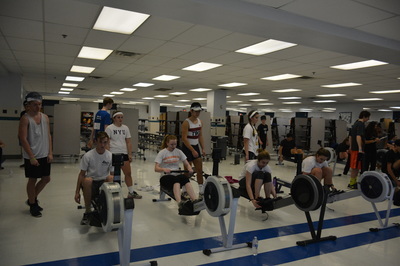 The women’s senior four and women’s lightweight four were invited to race at SRAA Nationals after each placed fourth in their divisions at Virginia Scholastic Rowing Association championship regatta on May 12. 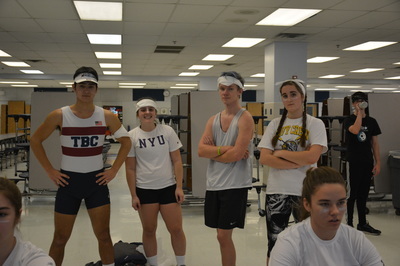 Additionally, these boats each qualified for semi-finals at the prestigious Stotesbury Regatta in Philadelphia on May 16. 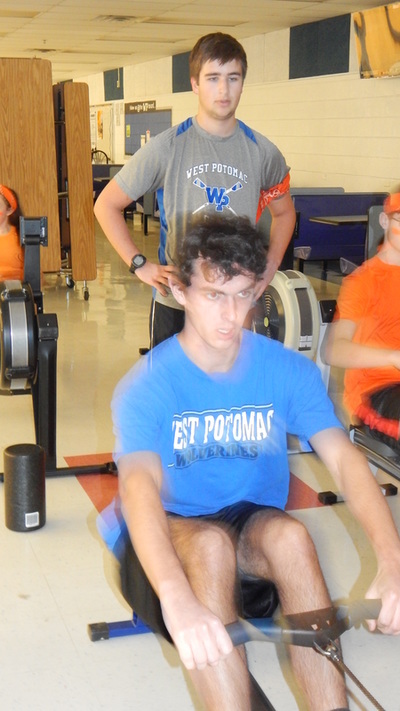 West Potomac has seen a second-year trend of tremendous growth, with the roster swelling from 44 rowers in 2012 to 75 in 2014. 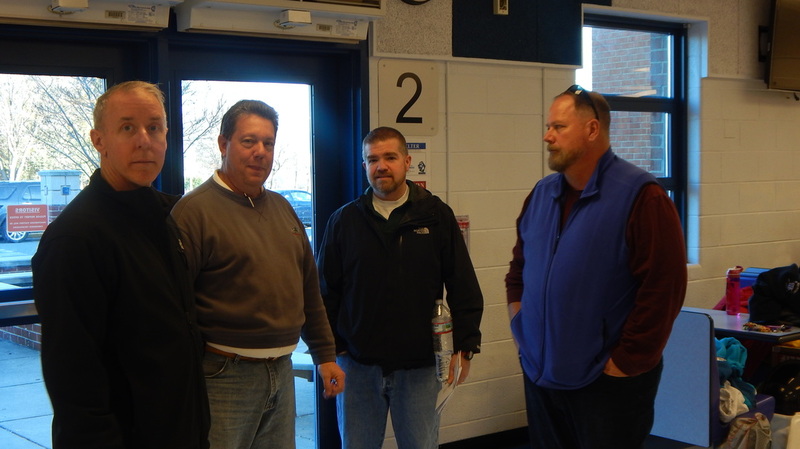 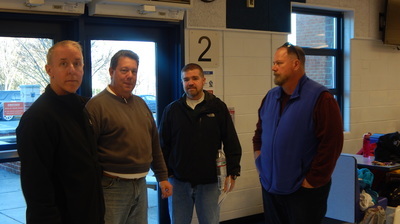 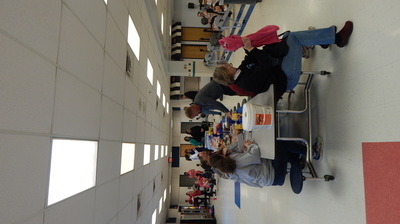 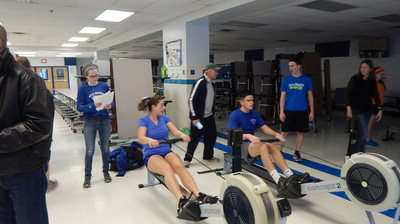 West Potomac Crew Boosters attribute much of this interest in crew to the reputation and popularity of the entire coaching staff, led by Head Coach Leslie Shinners, who is West Potomac’s nominee for Coach of the Year in the Women in Sports program. The team faced some unique challenges with the sudden growth this year, from finding it necessary to purchase and rent additional shells, hire a sixth coach, and install more dock space, to locating a venue for the traditional end-of-year picnic for about 200 rowers and family members. 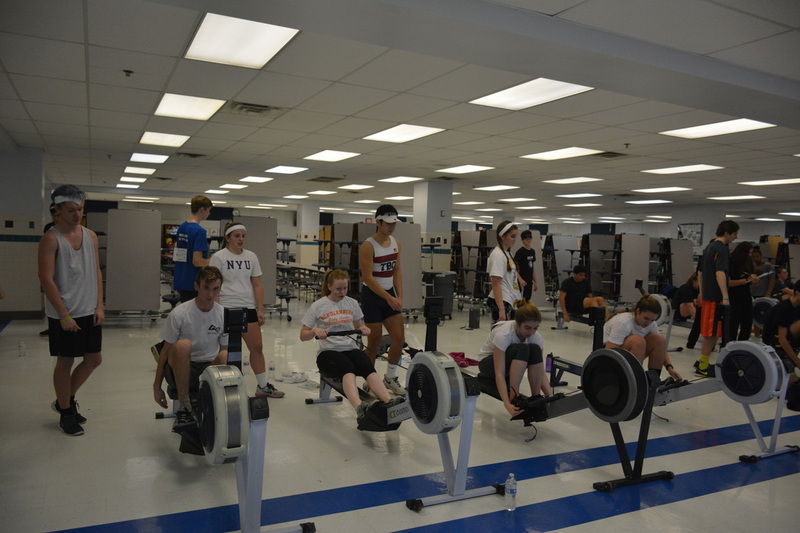 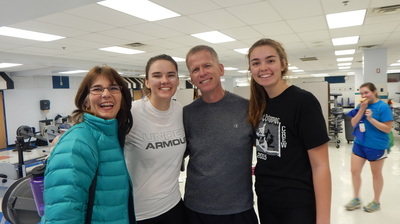 Although these changes caused unexpected expenses, the team is thrilled with the deeper talent pool and heightened energy of so many enthusiastic rowers and families on the developmental team who will move up to junior varsity and varsity boats next season. Notable athletes who were recruited to row in college programs after graduation are Rebecca Gehring, University of West Virginia; Stephanie Fiedler, Boston University; and Brooke Pierson, University of Washington. 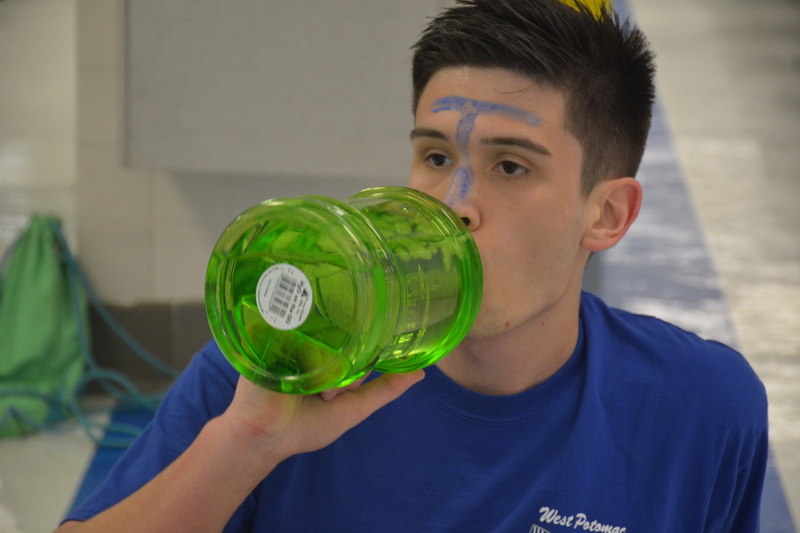 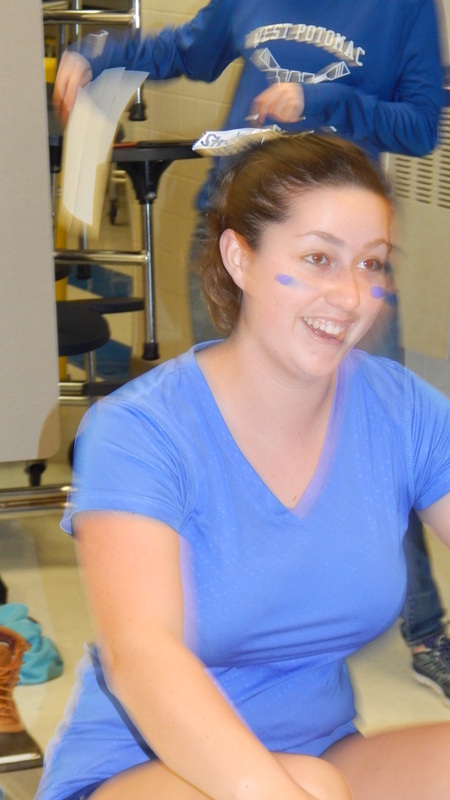 (Fall 2013 )The stats are impressive for the West Potomac Crew's 2013 season, and plans are already underway to keep the momentum up. 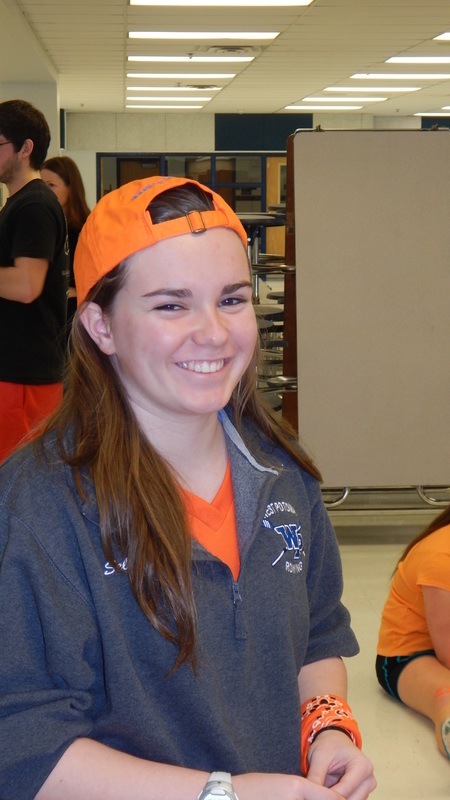 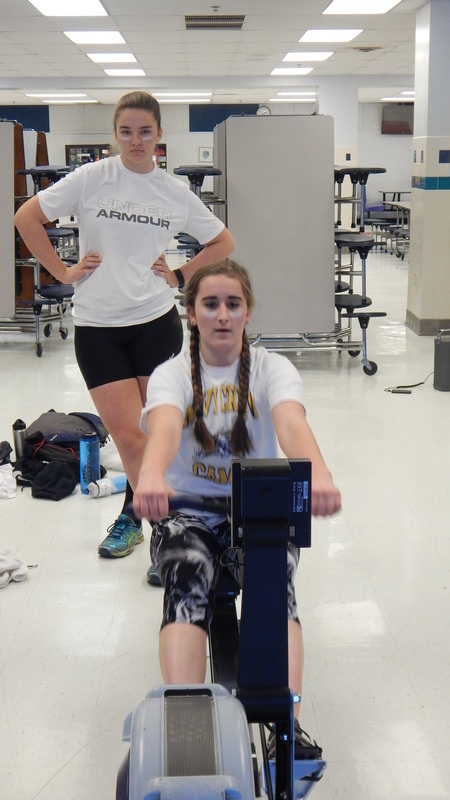 WePo sent three boats to Nationals this past season--"the first time in five years," said Head Coach Leslie Shinners. The team's season leading up to that point, despite challenging water conditions early on, was strong and hopes were high that at least one boat would qualify. At States (the Virginia Scholastic Rowing Championships) which was held at Occoquan on May 11, 2013, the Women's Lightweight Four placed second, and the Men's Lightweight Four and Women’s Junior Four both placed fourth. 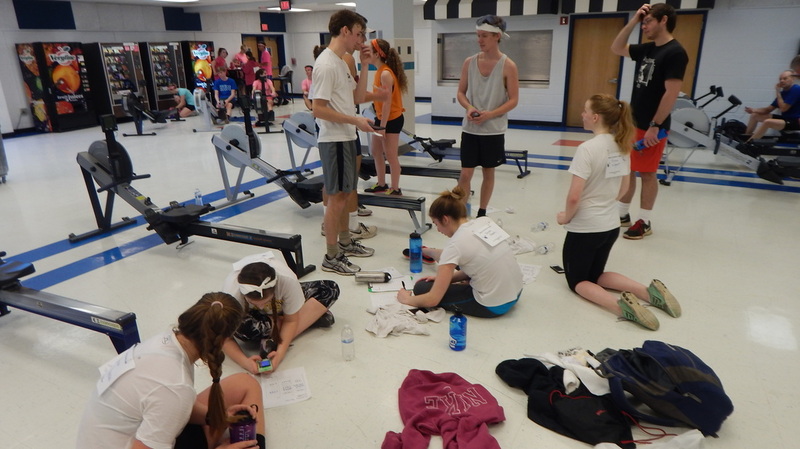 All of those boats went on to compete at the SRAA Nationals, held on the Cooper River in New Jersey on May 24-25, 2013. Other competitive highlights last season included 11 top three finishes for the Women’s Team and eight for the Men at local and regional regattas. 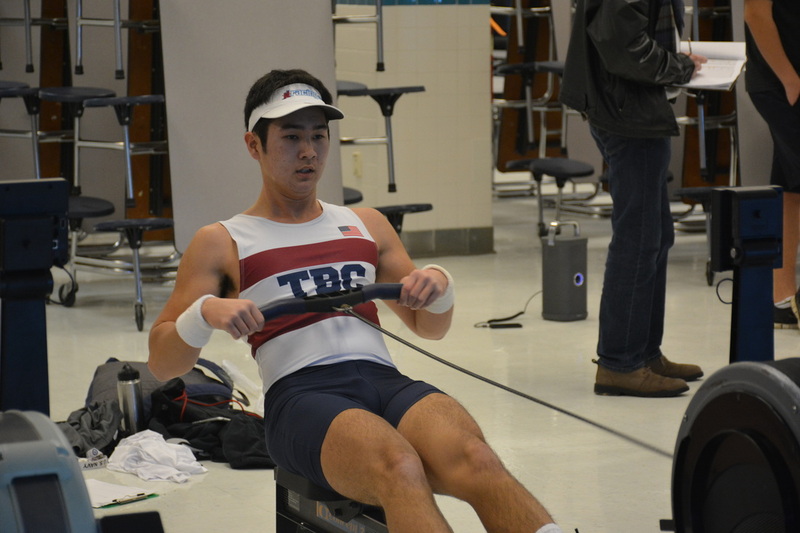 In addition, the Men’s Lightweight Four qualified for semifinals at Philadelphia’s prestigious Stotesbury regatta held on May 17-18. 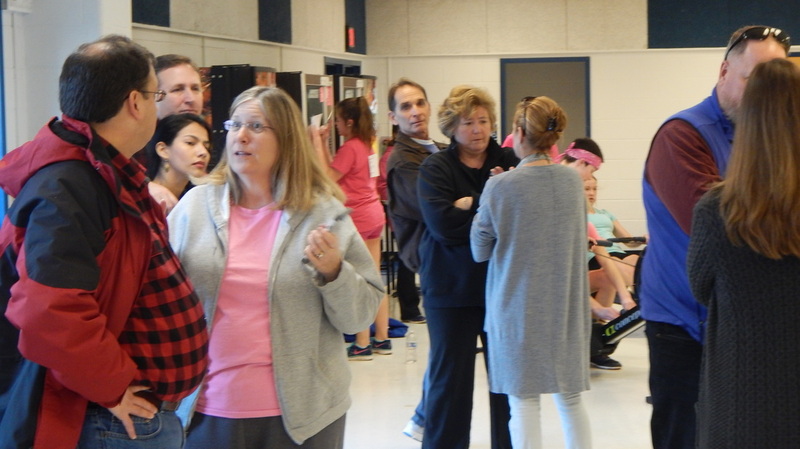 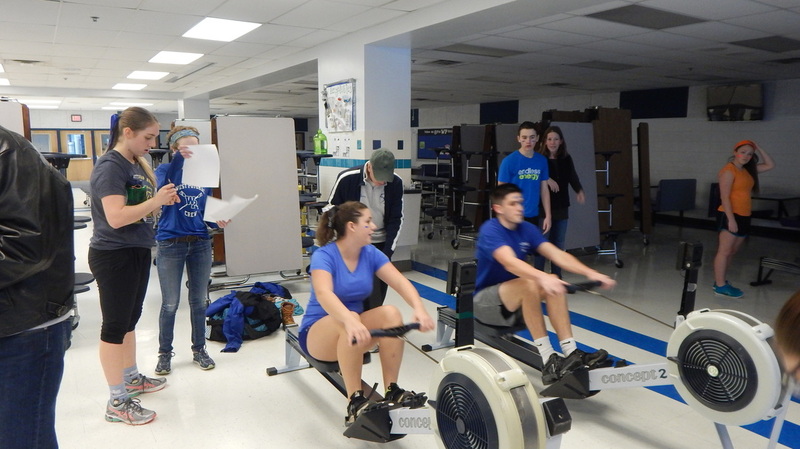 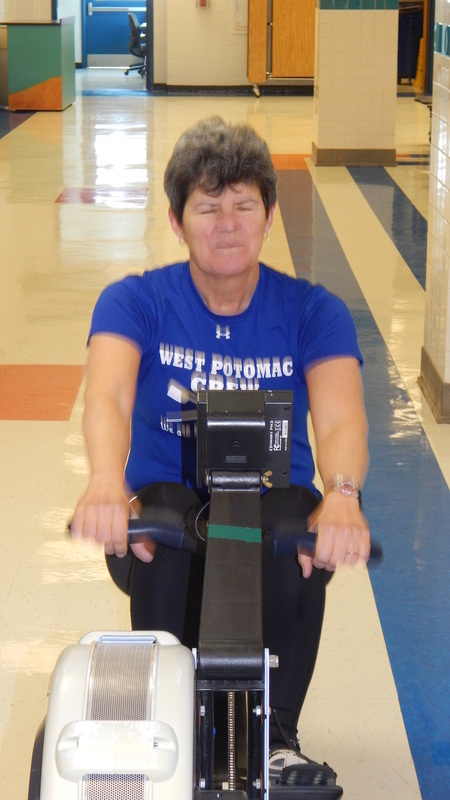 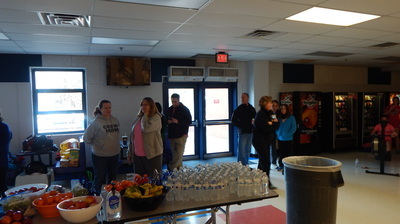 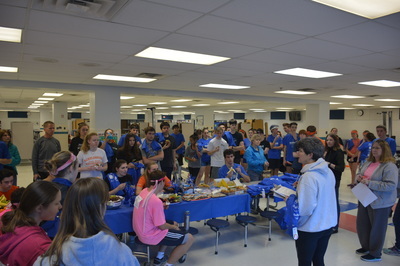 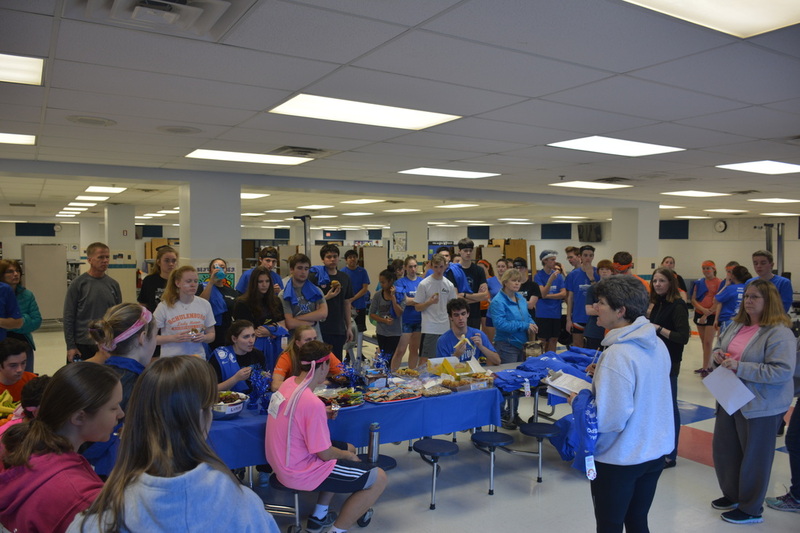 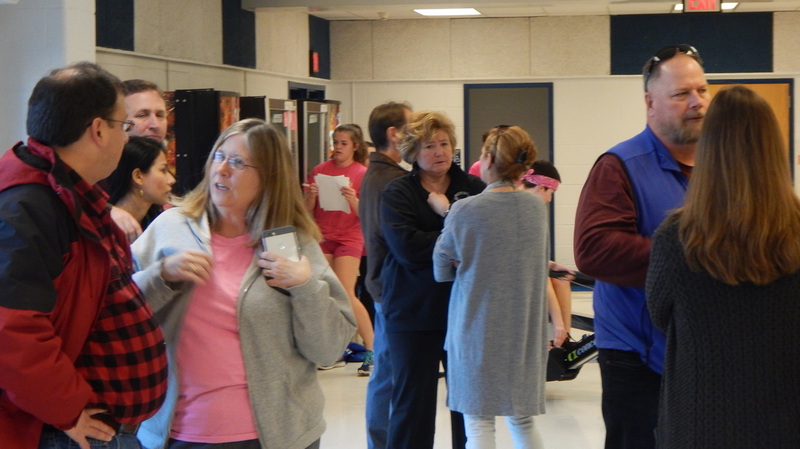 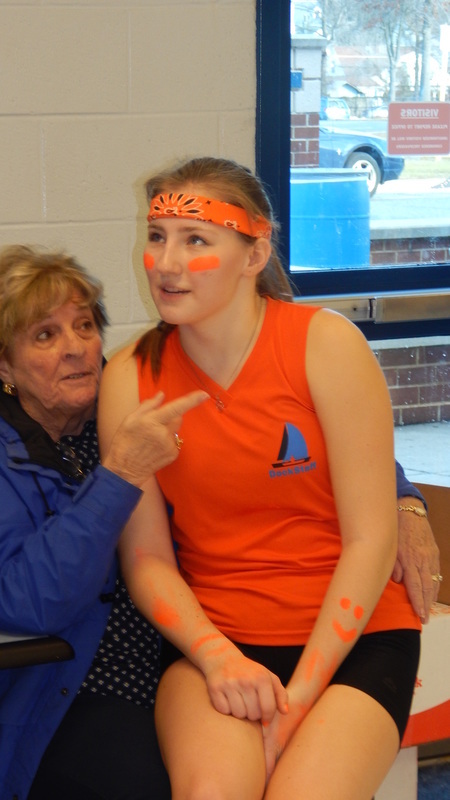 The team also had its tender moments--with a dedication of the Peter Mayer, a four-boat, in remembrance of the 2011-2012 president of West Potomac Crew Boosters, and a rededication of the Eve, a four-boat named after longtime former Head Coach Chick Little’s wife, Evelyn. 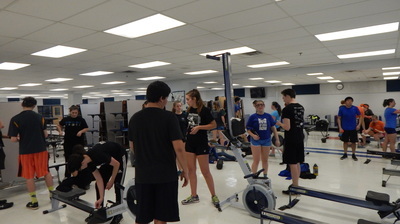 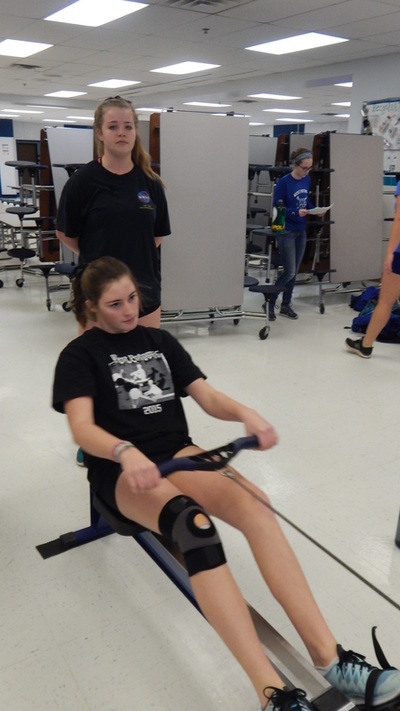 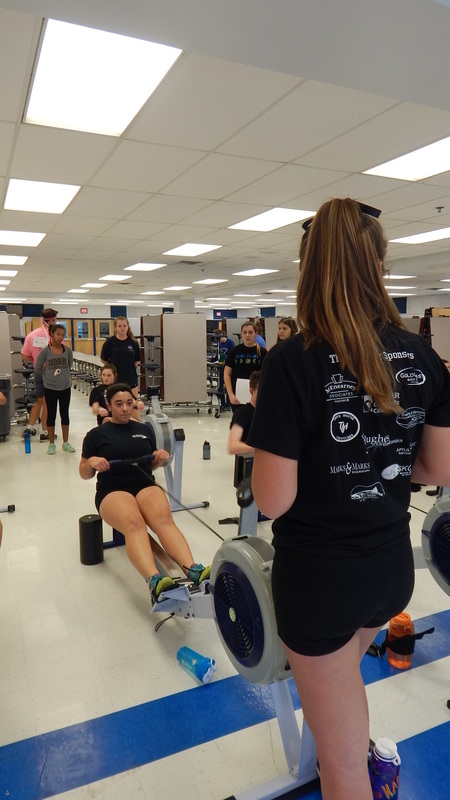 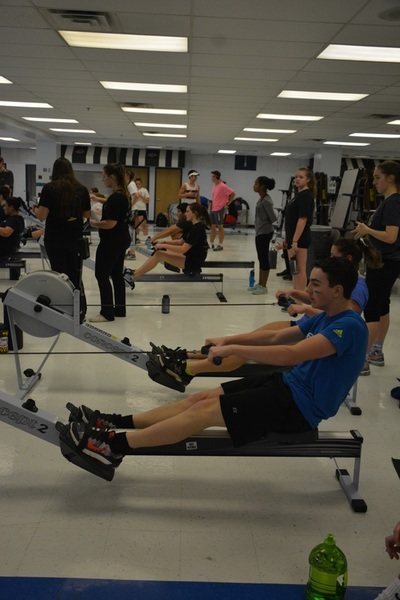 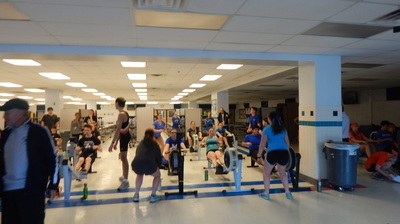 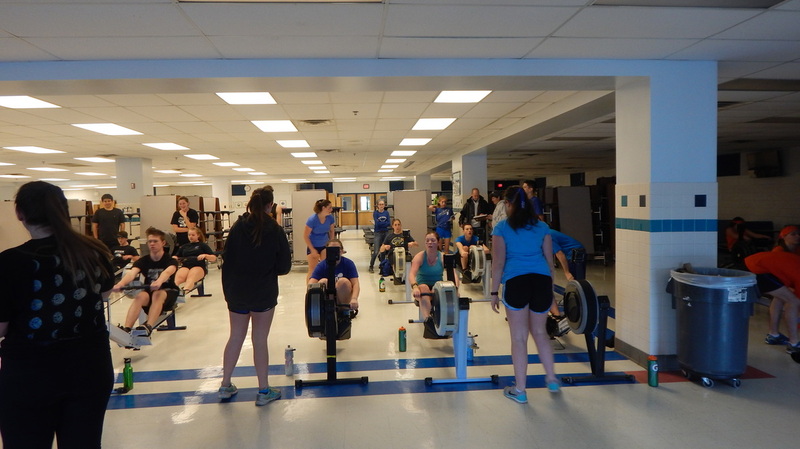 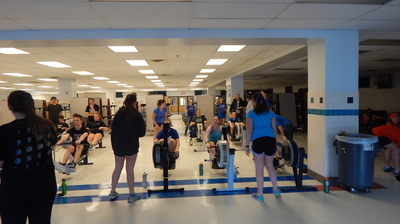 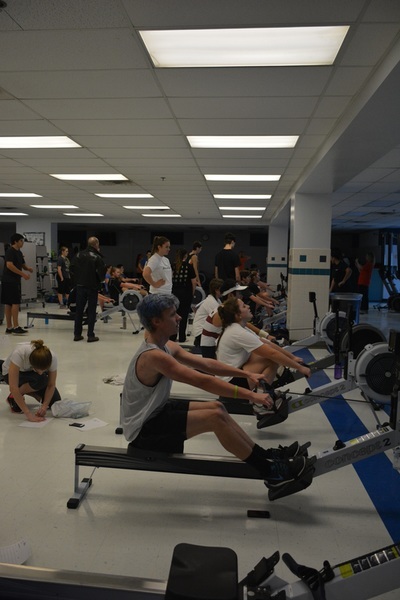 WePo Crew brought in 25 new rowers last season and will be looking forward to seeing them take their skills to the next level, along with the many returning varsity athletes. 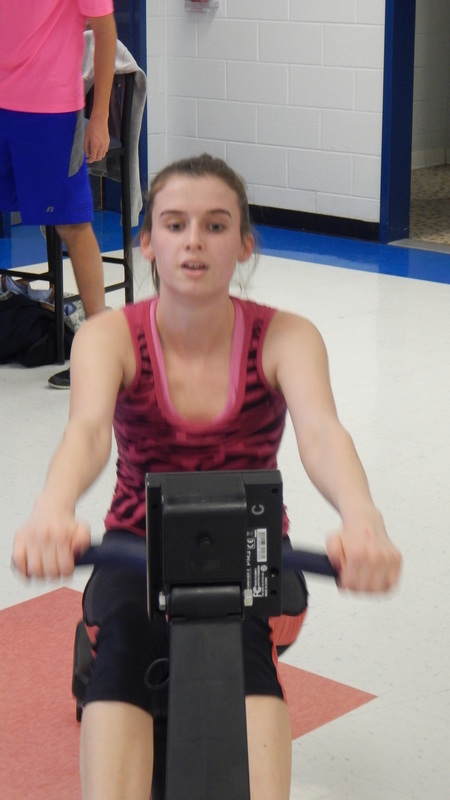 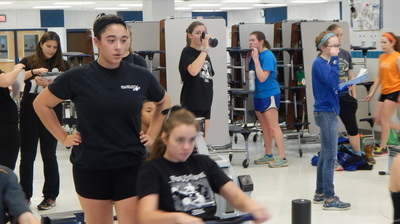 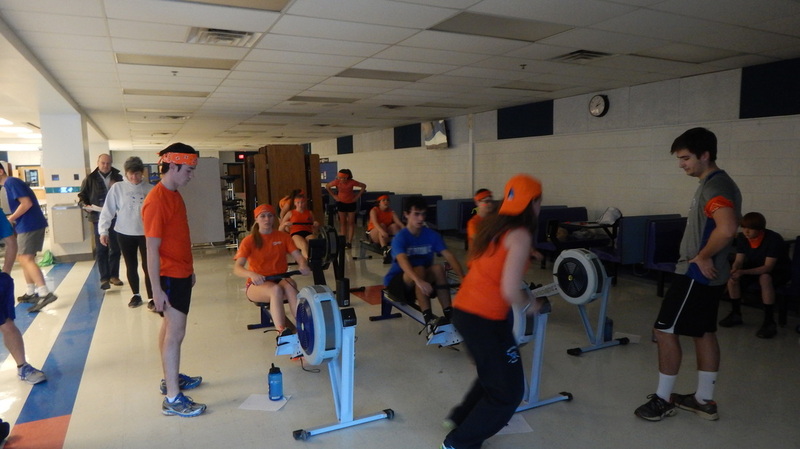 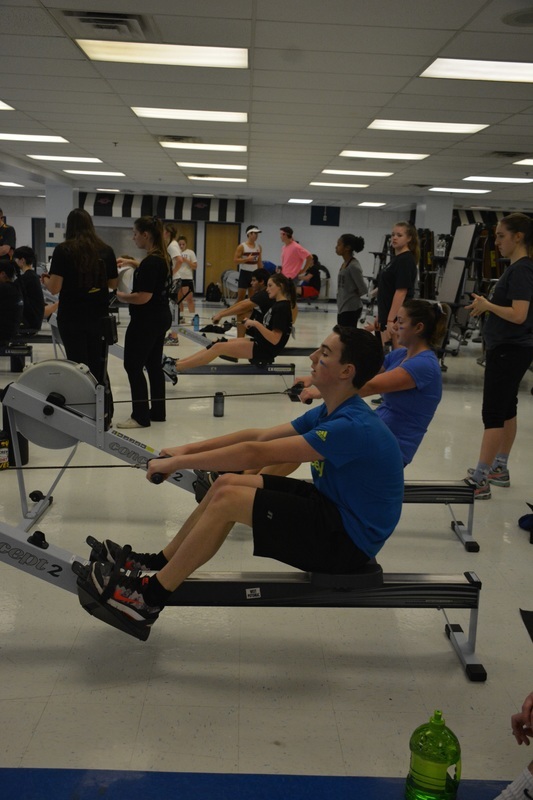 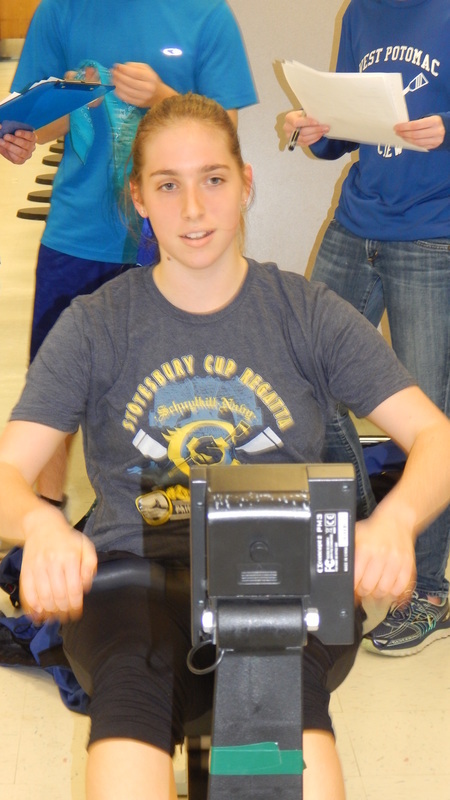 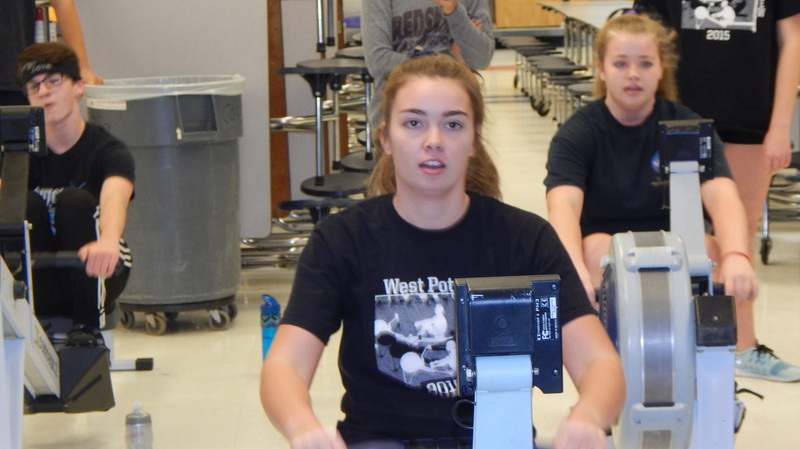 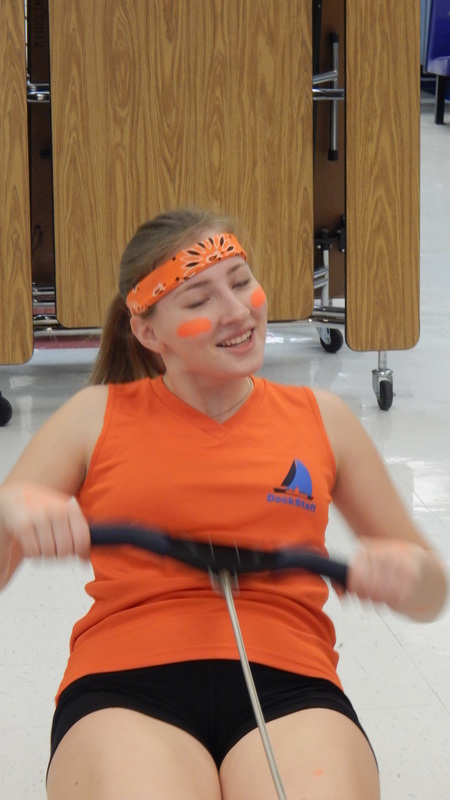 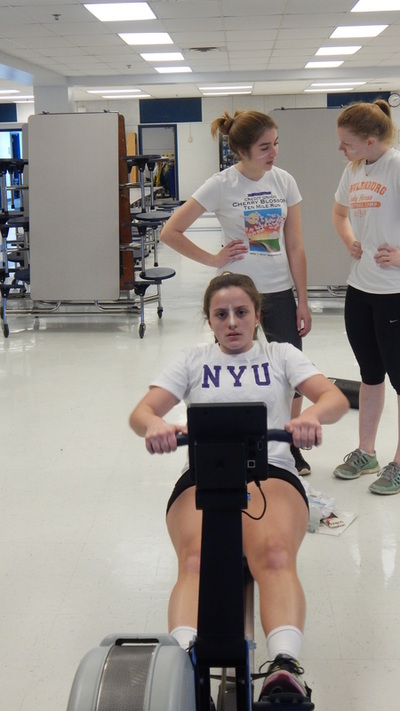 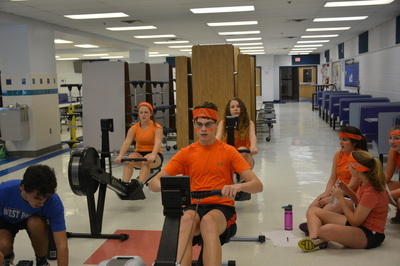 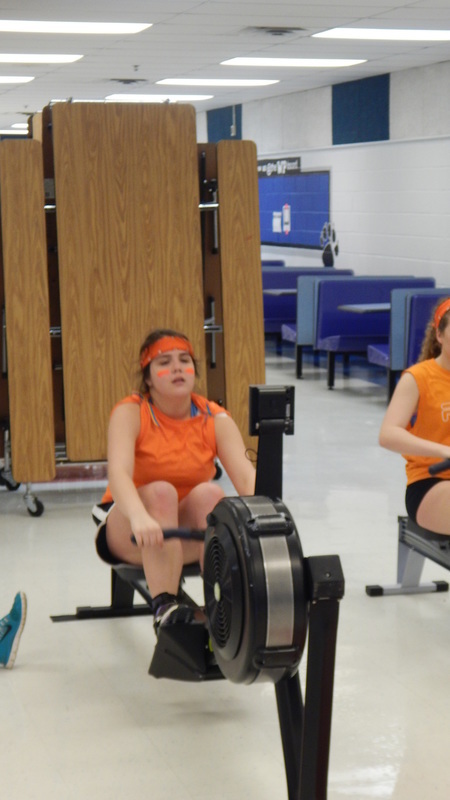 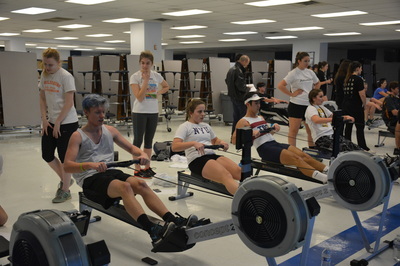 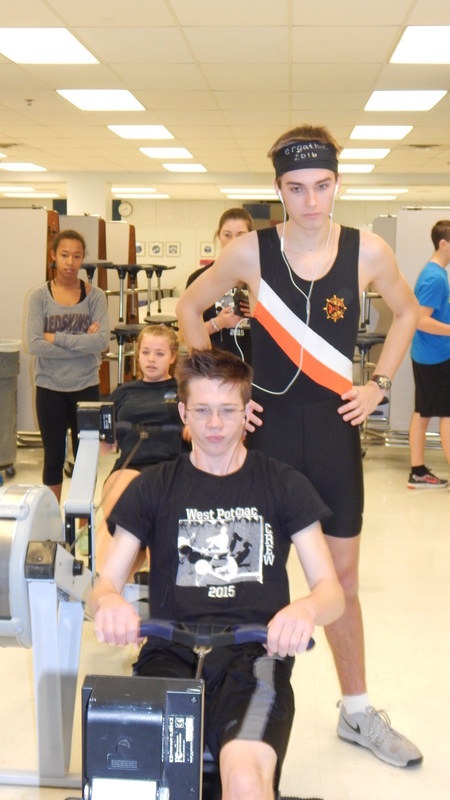 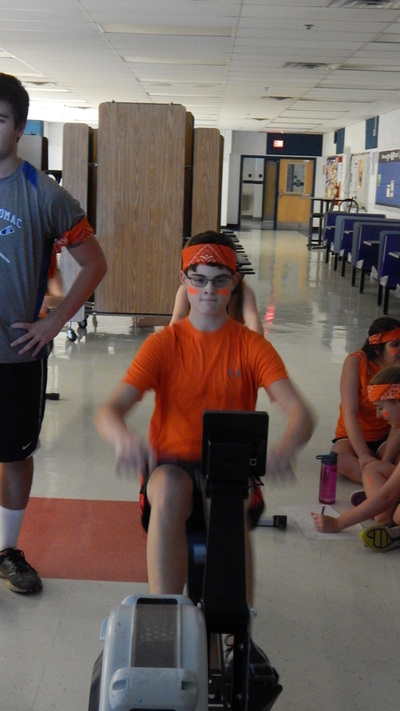 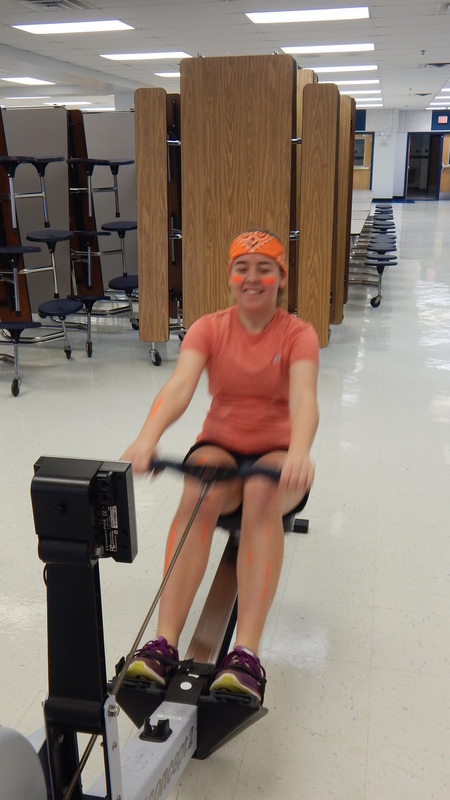 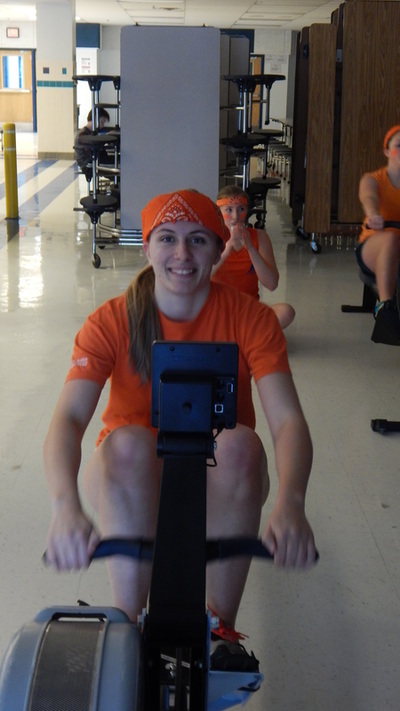 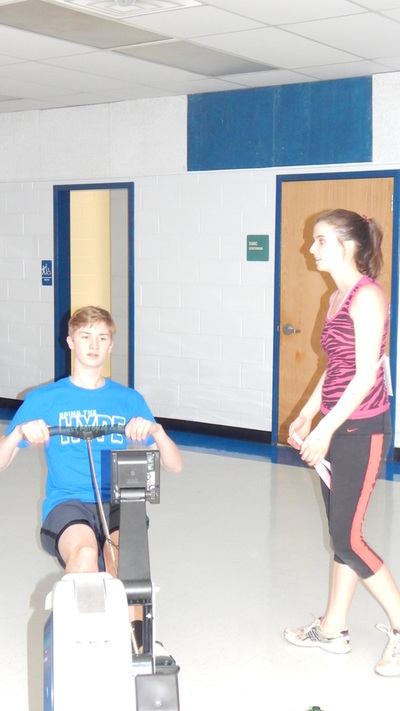 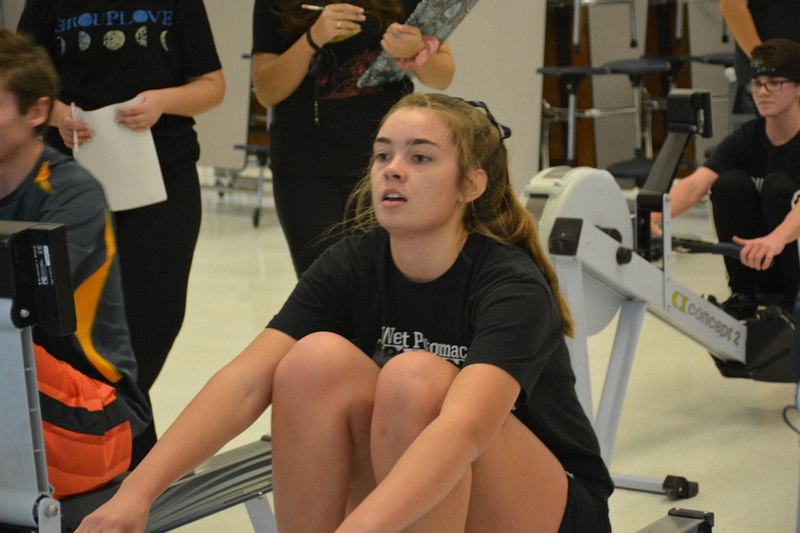 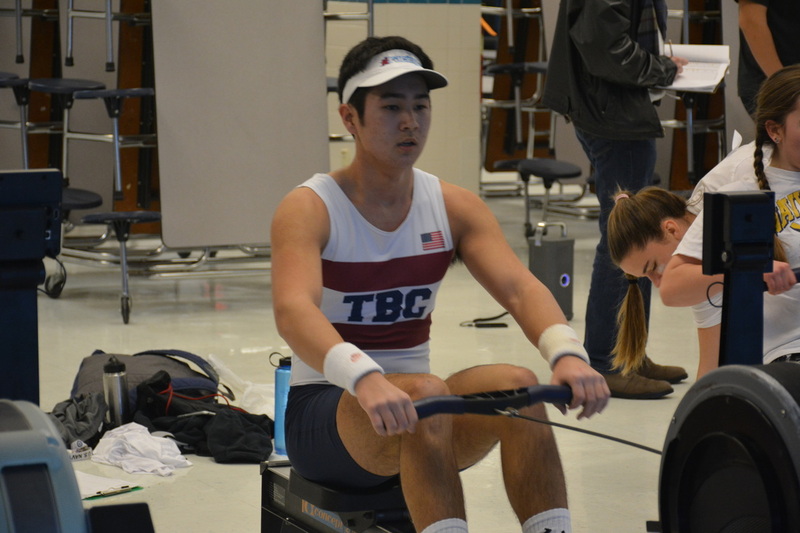 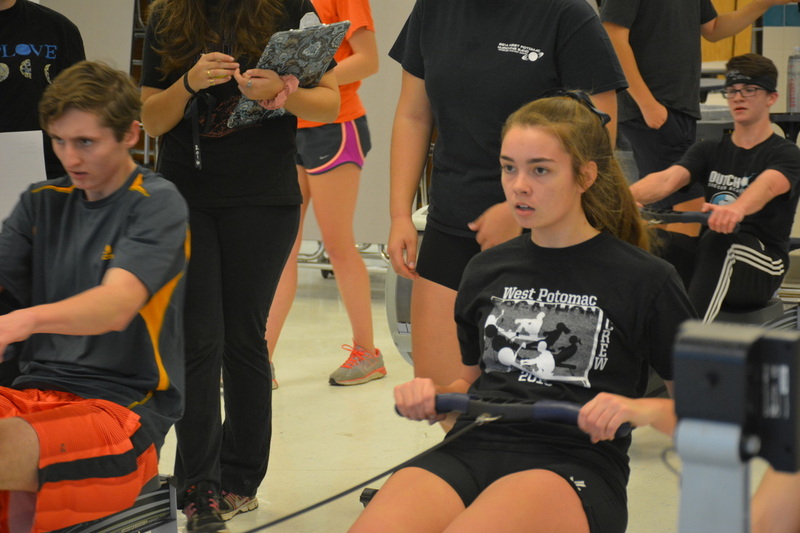 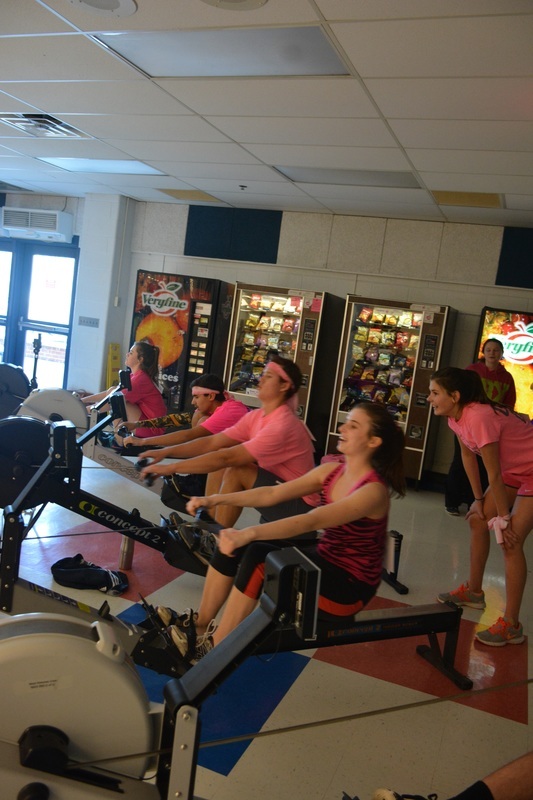 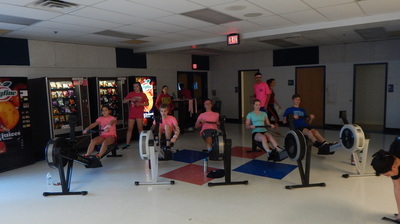 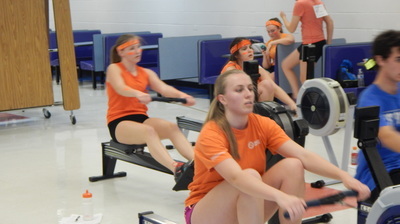 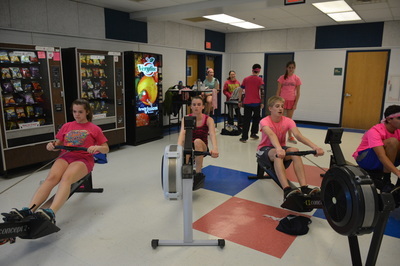 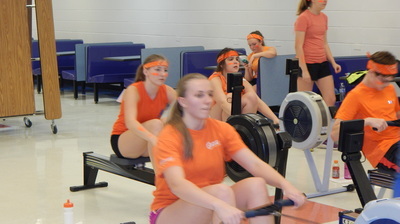 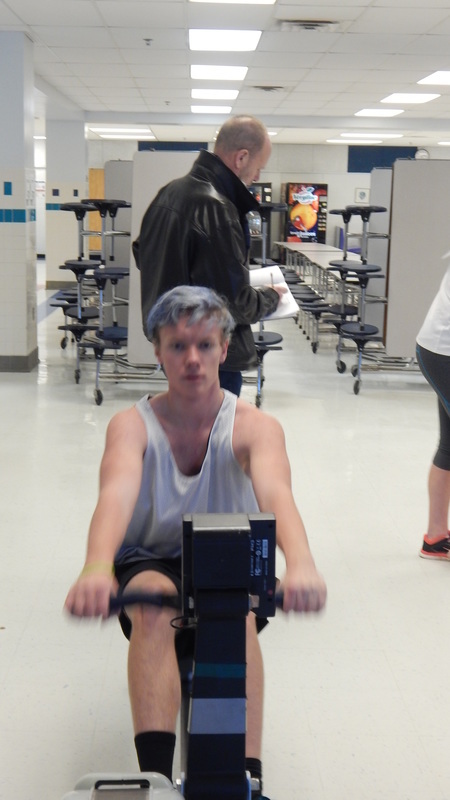 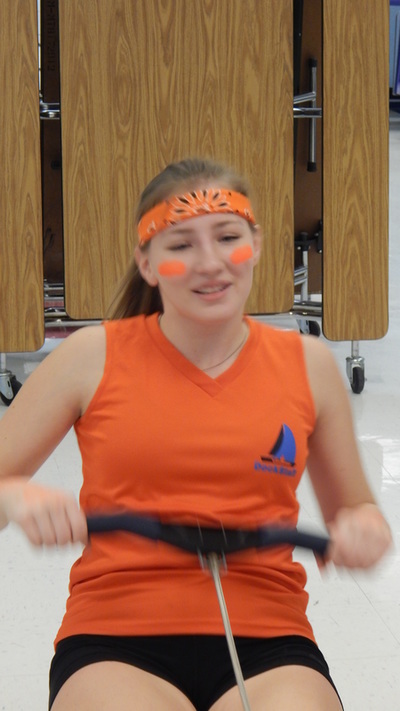 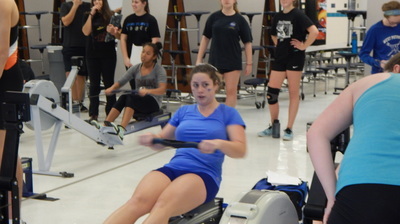 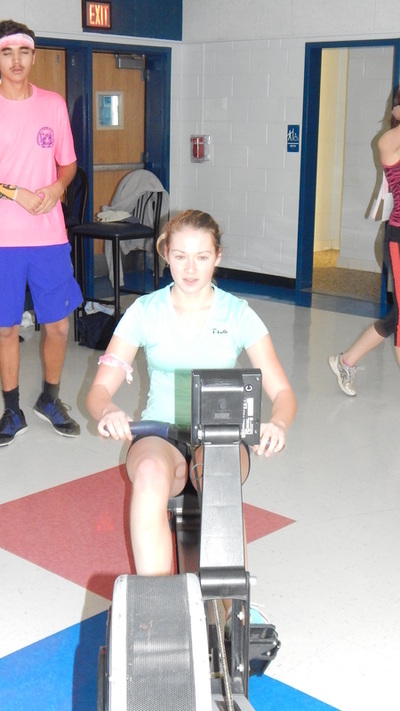 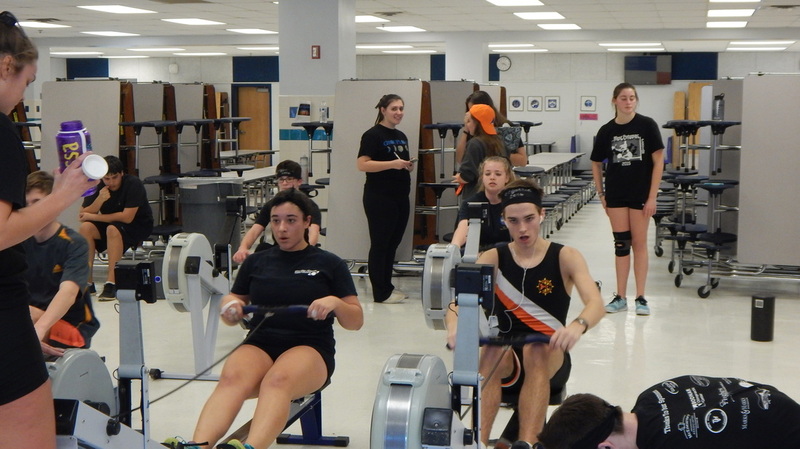 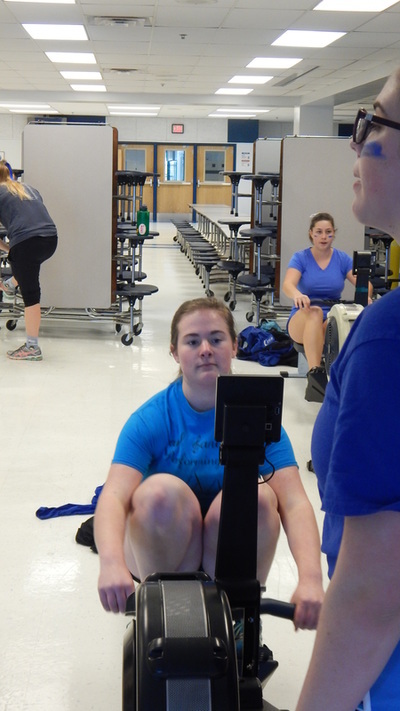 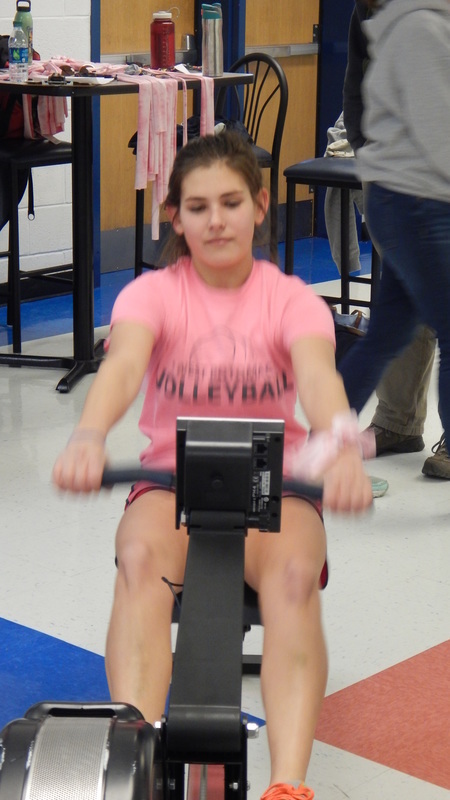 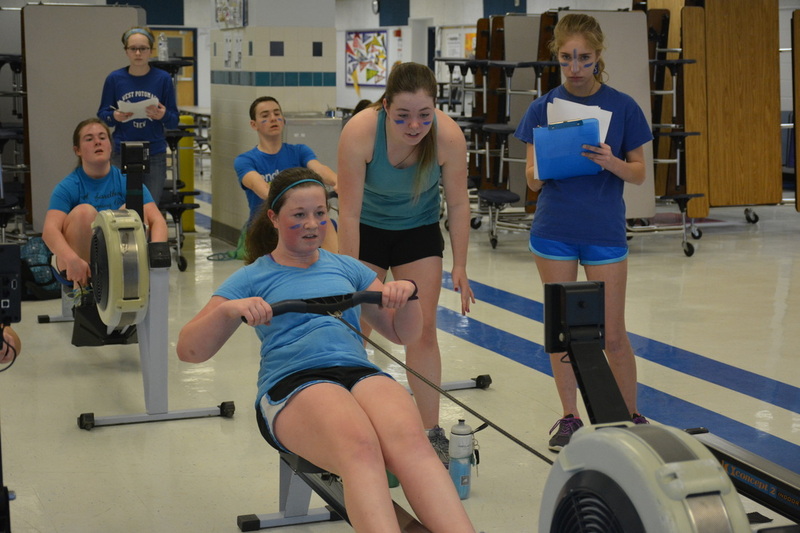 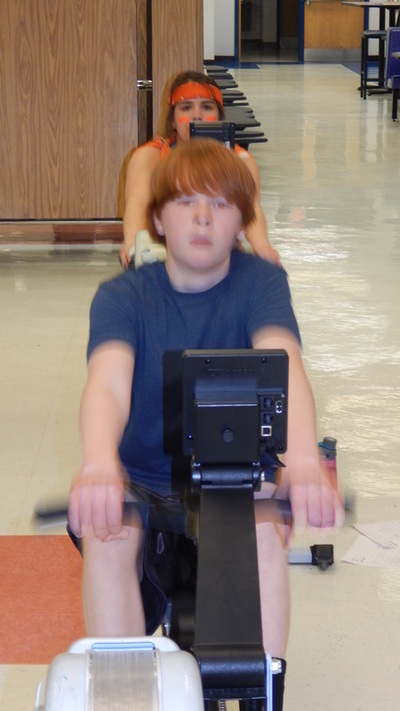 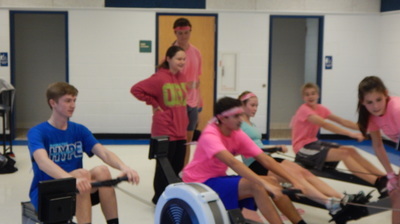 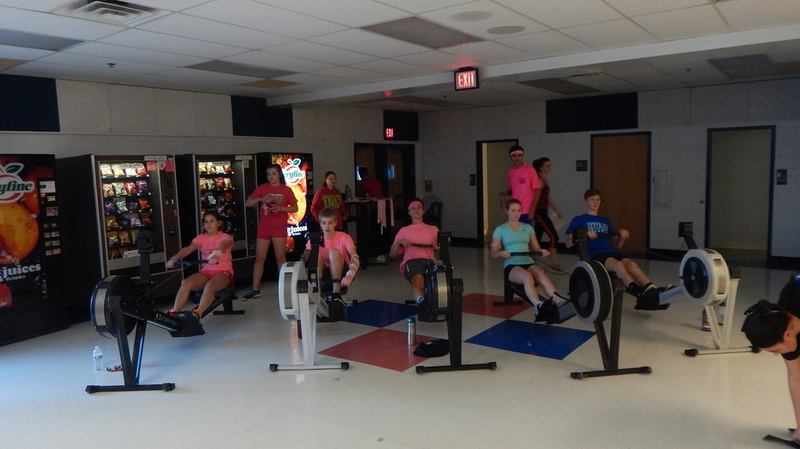 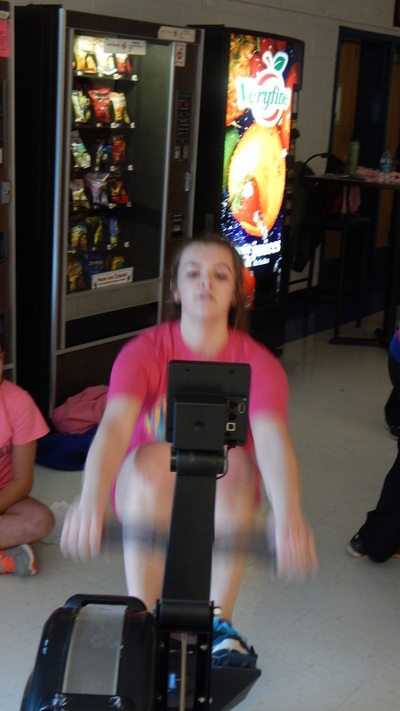 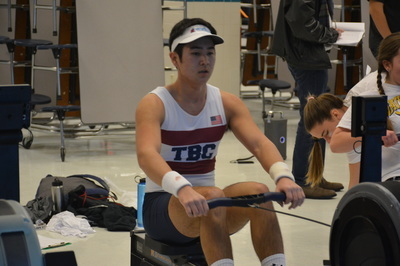 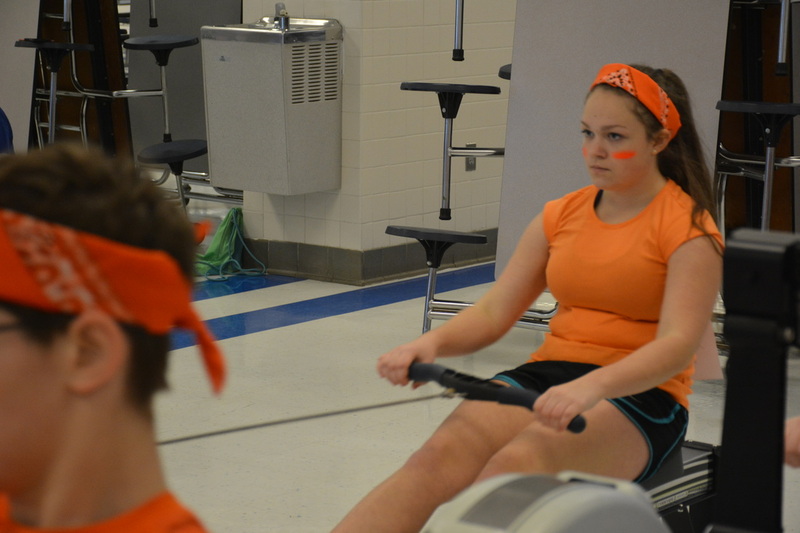 Rowers have been keeping in shape, participating in rowing camps over the summer and local fall club programs. 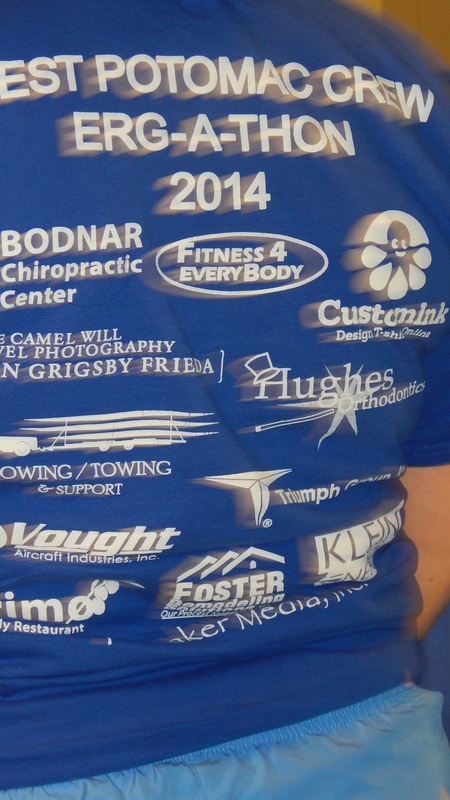 We look forward to another great season in 2013-2014! 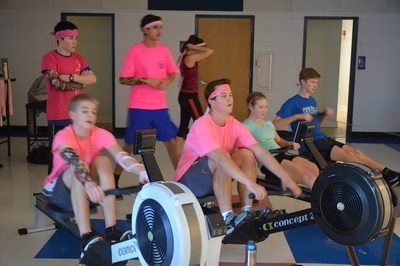 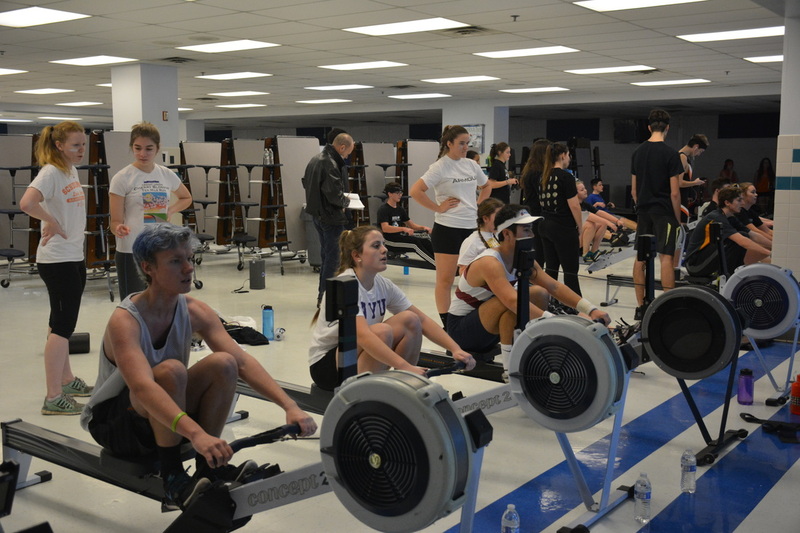 If you are interested in learning more about how to participate on the West Potomac Crew Team, contact Head Coach Leslie Shinners at coach@wpcrew.org . 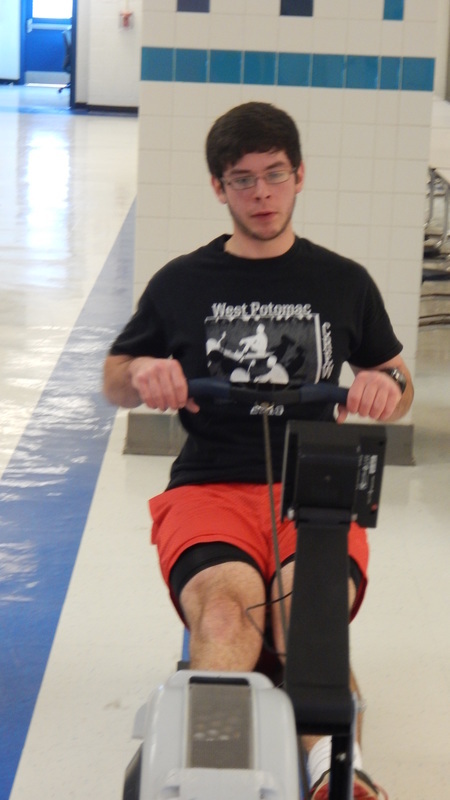 Email VPAdmin@wpcrew.org to add your name to our WePo Crew interest listserve.